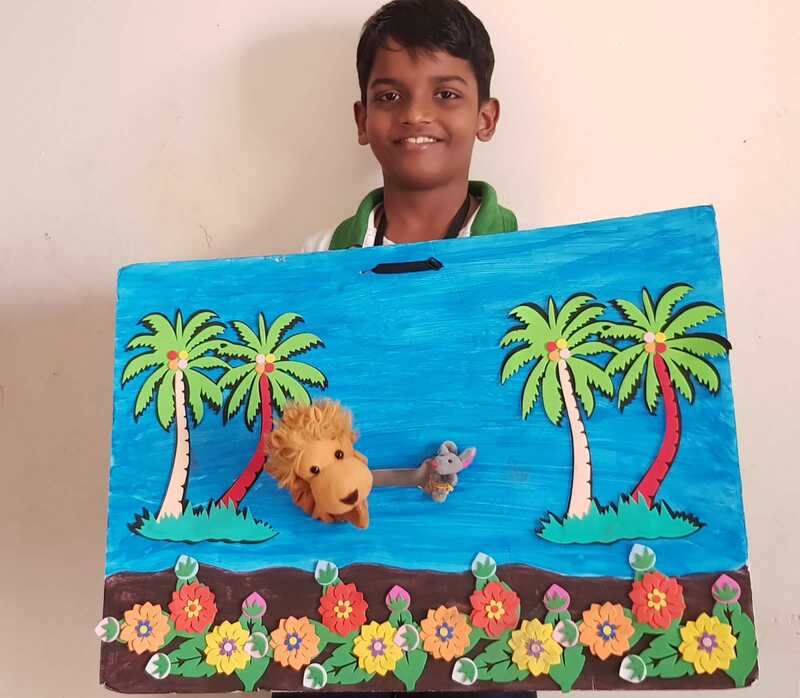 The esse of joy and laughter that emanates with the combination of strings being pulled, twisted, smashed and jingled saw its display in Smart Indian School on 24th May 2018 by the department of Hindi for the 4th graders. 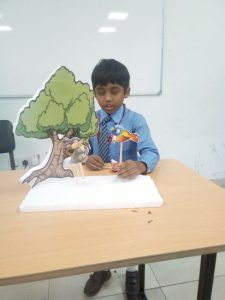 The inevitable happiness that Puppet show brings with the association of props and timeless stories had been a tool to disseminate the moral based stories to the little hearts in their growing age. 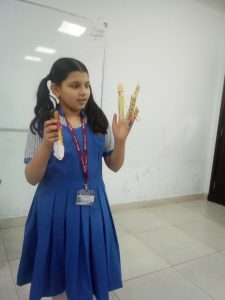 The students of grade 4 turned the marionette time to a vivid educational segment coupled with the sense of glee. 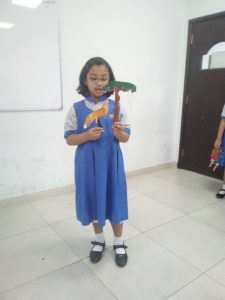 The thematic show was on the moral based story like The Clever Crow, Birbal & Akbar and The Donkey & the Cotton etc. 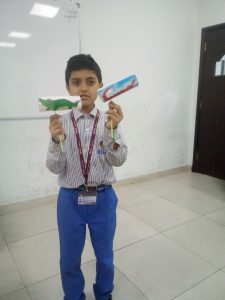 The students with whole enthusiasm and energy decked the stage with their presence, props, puppets and presentation. 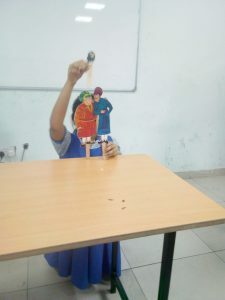 The students were given three minutes each to perform the story telling with puppets. 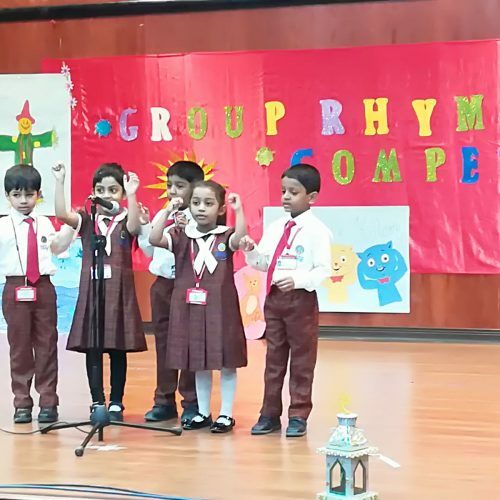 The brightened graders, in much eager anticipation, came out with flying colors by being labelled as winners as well as to bag certificates for their persuading art of story narration. 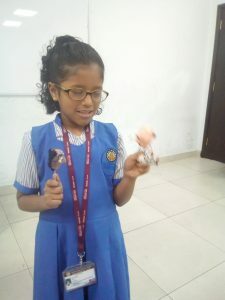 The teacher-in-charge felicitated the proving participants and the whimsically persuasive winners for their tremendous output.